Hello, the Kwadusa Team can you present yourself? 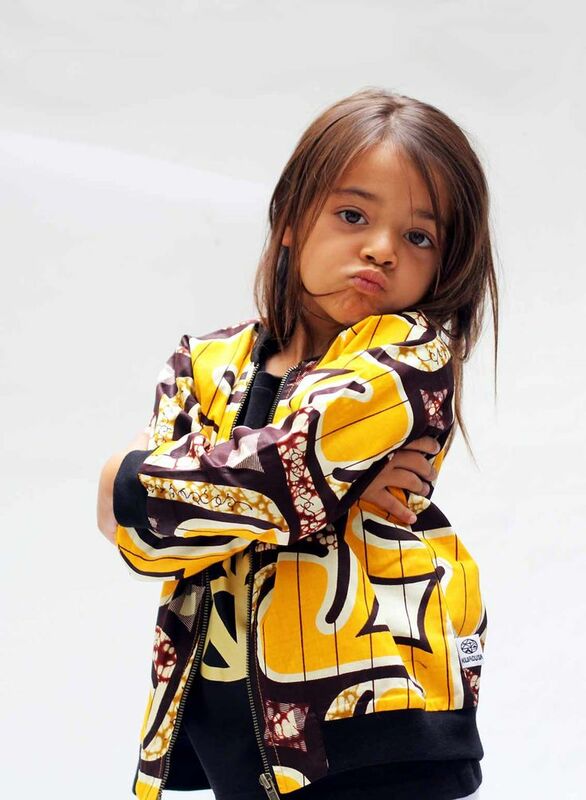 Kwadusa is a Danish kids clothing brand for boys and girls aged ½ -10 years. Kwadusa focus at design, sustainability and Africa. 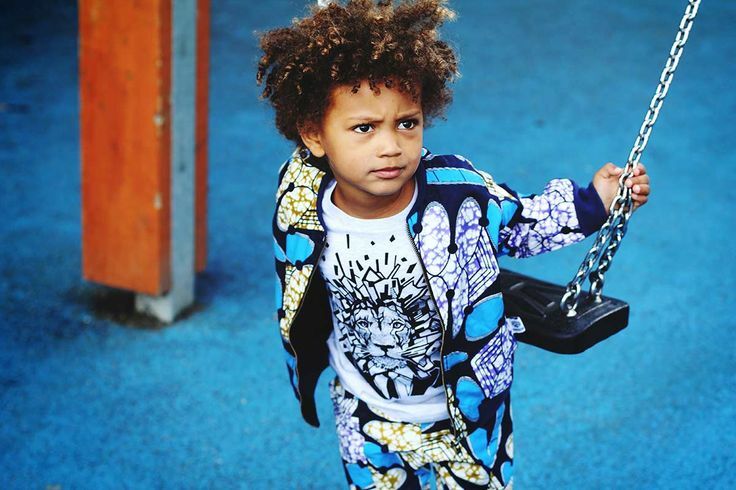 The clothes are a mix of the simplicity in Danish design, African fabrics and cool graphic prints. Kwadusa’s ambition is to create urban quality clothing for active kids, while creating growth and jobs in Africa. How did this project to create clothes with African fabric? 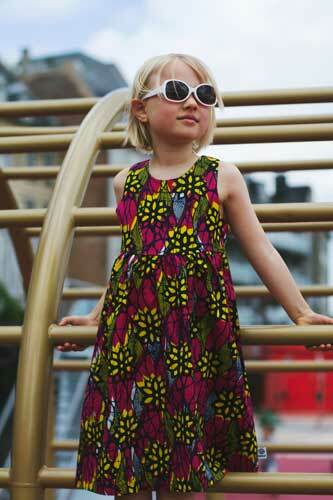 We established Kwadusa because we all have a passion and a huge interest in Africa, fashion and kids. We love African wax print because of its vibrant colors, humor and history, and we would be honored if we could contribute to the ongoing creation of jobs and development of Africa. Why did you choose the name « Kwadusa »? “Kwa dusa” is the name of an old wax print that is popular in Ghana. In West Africa, there is a history of naming the popular patterns. Kwadusa literary means a bunch of bananas but it also means independence and refers to Ghana as the first African country to claim its independence in 1957. 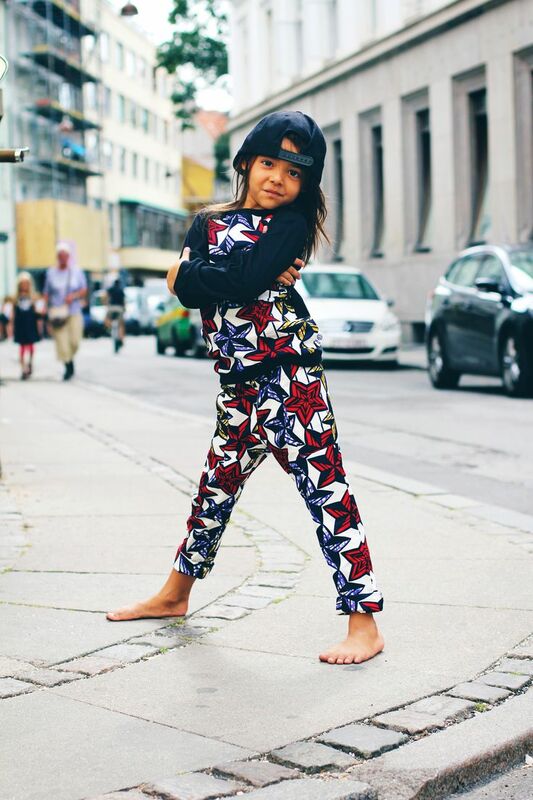 We make cool urban kids clothes by combining the simplicity in Danish design with colorful African fabrics and cool graphic prints. Where may you find your style? We get inspired by numerous sources, whereby the stream of African fashion, art and creativity is significant. Our prior collections have been named after famous African musicians. The creative universe of our kids also helps us to focus on functionality and quality and keeps us at eye level with our main target group. Based in Copenhagen we find inspiration in the Danish designs simplicity and coolness. What are the next fashion event « Kwadusa »? We are working on an English version of our webpage and webshop. We are also planning a pop-up shop in Copenhagen during the summer 2015. Before ending, a little something to say to the blog « Le Monde Du Wax » and its readers? We are so happy to share the interest of wax prints with Le Monde du Wax and its readers and we hope you enjoy the designs of Kwadusa! Dette indlæg var udgivet Blog,Presse og tagged presse.